Green Button Industry Momentum Continues; Connect My Data Certification Now Available! Forward-thinking utilities and regulators interested in better-serving utility customers by providing them with easy, digital access to their own energy data and the ability to enable them to authorize the secure sharing of their data for additional analysis, continue to look to Green Button Connect My Data : the industry’s proven data-access and secure-data-sharing protocol. In October 2018, in a compliance filing to the Public Utility Commission of Texas (PUCT), Entergy Texas proposed to provide Green Button Connect My Data functionality to its customers to enable third-party data access to customer data with customer consent. In August 2018, within its data privacy tariff filing to the Michigan Public Service Commission, Consumers Energy committed to provide Green Button Connect My Data functionality to its customers in the third-quarter of 2019. In June 2018, in its Utility 2.0 Long Range Plan prepared for the Long Island Power Authority, PSEG Long Island proposed to support Green Button Connect My Data in June 2019. In May 2018, the PUCT approved recommended improvements to the Smart Meter Texas (SMT) portal to update the portal to be more in-line with Green Button and growing the market for energy information services. The most-recent utility commitments, if approved by regulators, will bring the total number of customers across the U.S. that will have access to Green Button Connect My Data to 36.1 million, according to the Mission:data Coalition. Last month, the Green Button Alliance launched its Green Button Connect My Data (CMD) Certification Program for electricity, natural gas, and water utilities ("data custodians"). 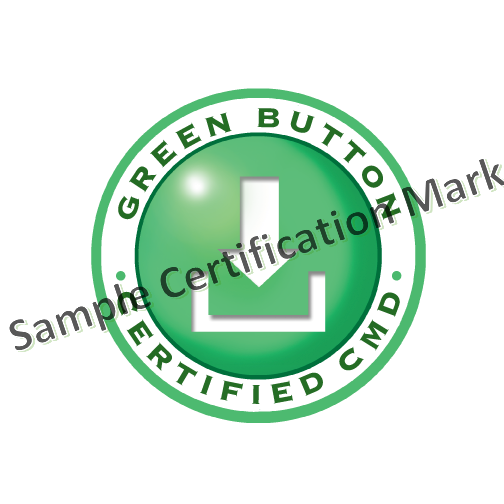 Utilities testing and certifying their implementations through the Green Button Alliance's Green Button CMD Certification Program are assured their solutions are compliant to the Green Button data-sharing methods and will enable customer data access and secure data sharing with third-party vendors. Utility implementations that are Green Button Certified CMD ensure customer privacy and the seamless-and-secure transmission of data to third-party solutions. 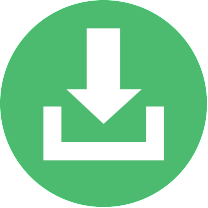 Learn more about the full capabilities of the industry standard Green Button Connect My Data and its benefits to utilities and their customers in this informative, two-page datasheet (PDF). Utilities that are planning to leverage Green Button Connect My Data to provide their customers with digital access to their data and/or to offer new customer-data -driven solutions, can contact the Green Button Alliance for assistance in preparing for testing and certification. Utilities that are already in process of developing CMD offerings, apply for certification here . Mark your calendars! 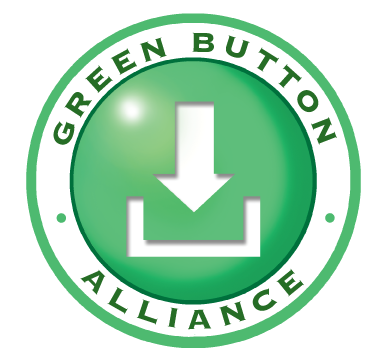 The Green Button Alliance will hold an All-Member Meeting via dial-in and web on 30 October at 2:00pm ET. Participation logistics will be sent via email prior to the meeting. The GBA's monthly Green Button Global Marketing Meetings are held the first Wednesday of the month at 3:00pm ET. The next meeting is 07 November and all members are invited to attend. Keep an eye out for an email containing participation logistics for this 30-minute meeting - and join us! For a full listing of GBA meetings and events, please see our calendar . 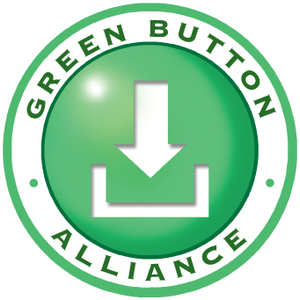 The Green Button Alliance is now accepting nominations of Participating Members to fill two open seats on its Board of Directors for the 2019 year. If your company is a Participating Member in the Green Button Alliance, you can nominate a candidate from your company to join the GBA's Board of Directors via the email you should have received if you are eligible (email subject: "GBA Participating Member Elections - Nominations"). A two-year seat for the candidate garnering the most votes. A one-year seat for the candidate with the next-most number of votes. Nominations will close on 30 October 2018! 05 October: " Data Privacy: A Secret Ingredient for Aspirational Energy Innovators ", Utility Analytics Institute . 02 October: " OhmConnect Awards more than 2.5 million to California Users this Summer ", Solar Power World. 02 October: " 9 Solar and Storage Executives Share Utility Wish Lists ", Utility Dive . 01 October: " EnerNOC Rebranded Into Enel X, All Advanced Energy Solutions In North America Integrated Under One Global Brand ", Enel press release. 27 September: " Union Gas Head Recognized by Ontario Energy Association ", Chatham Daily News . 13 September: " ENGIE Enters Midwest Retail Natural Gas Markets ", ENGIE press release. 06 September: " Green Button Alliance Announces New Utility Data Certification Programme ", Smart Energy International . 05 September: " London Hydro First Utility to Receive Green Button CMD Certification ", London Hydro press release. 23 August: " Edison Properties Expands Deployment of Logical Buildings’ SmartKit AI™ Energy Savings Software from One to Six Facilities ", Logical Buildings press release. 24-26 October 2018: Utility Analytics Week; Orlando, FL. 24-26 October 2018: American Water Summit; Philadelphia, PA.
06-08 November 2018: European Utility Week; Vienna, Austria. 21-22 November 2018: Australian Utility Week; Melbourne, Australia. 04 February 2019: Smart Energy Consumer Collaborative's 2019 Consumer Symposium: Exploring the Evolving World of Energy; New Orleans, LA. 05-07 February 2019: DistribuTECH; New Orleans, LA. 18-20 February 2019: 10th Annual Smart Energy Summit: Engaging the Consumer; Austin, TX.